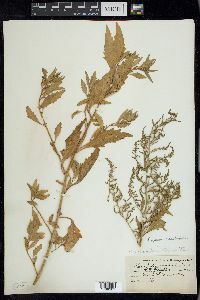 Plants annual. 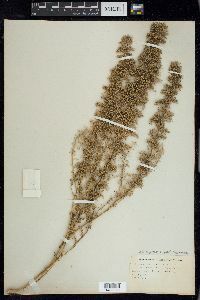 Stems erect to ascending, branched, 3.7-7.5(-10) dm, ± glandular-pubescent, puberulent, or glabrate. 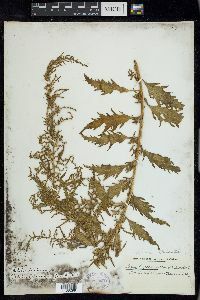 Leaves malodorous, distal leaves sessile; petiole 1.4 mm; blade narrowly ovate to lanceolate, 5-7 × 1.5-3 cm, base cuneate, margins dentate with large, widely spaced teeth, apex acute, gland-dotted (rarely nearly glabrous). 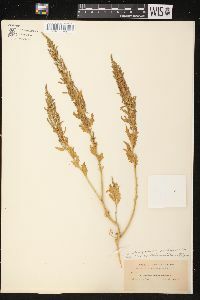 Inflorescences terminal and lateral spikes or panicles, 3-8 cm; glomerules globose, 2.5-3.3 mm diam. 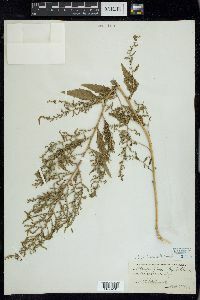 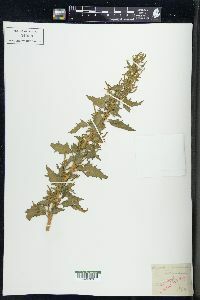 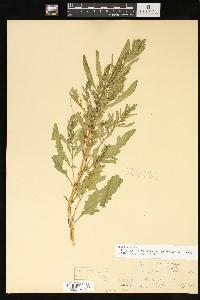 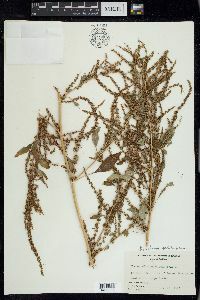 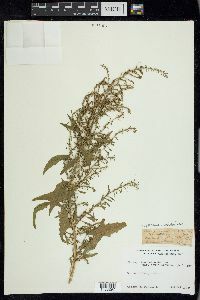 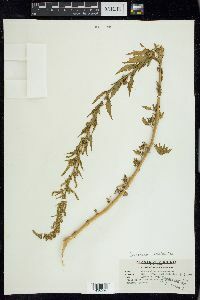 ; bracts absent or leaflike, linear, to 2.2 mm, apex acute. 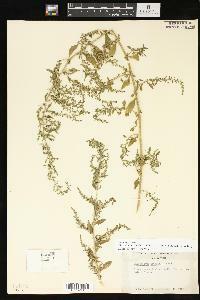 Flowers: perianth segments 5, connate for ca. 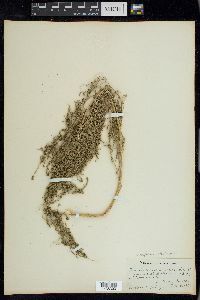 1/2 their length, distinct portion ovate, 0.7 mm, apex obtuse, rounded abaxially, glabrous, covering fruit at maturity; stamens 5; stigmas 3. 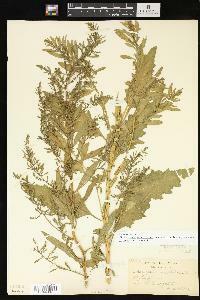 Achenes ovoid; pericarp nonadherent, smooth, glandular. 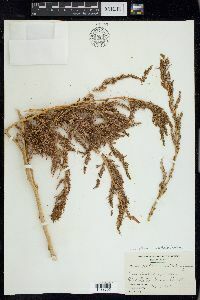 Seeds horizontal or vertical, reddish brown, ovoid, 0.6-0.8 × 0.8-1 mm; seed coat smooth. 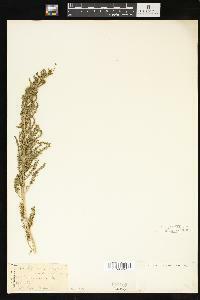 Fruiting summer-fall. 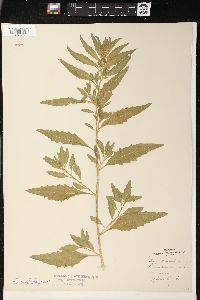 Sand dunes, pinelands, meadows, roadsides, and other waste areas; 0-1100 m; Ala., Ark., Calif., Del., Fla., Ga., Ill., Ind., Kans., Ky., La., Md., Mass., Miss., Mo., N.J., N.Y., N.C., Ohio, Okla., Pa., S.C., Tex., Va., W.Va.; Mexico, West Indies, Bermuda, Central America. 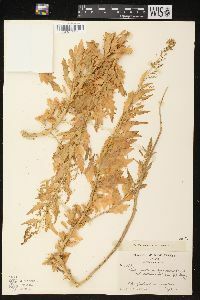 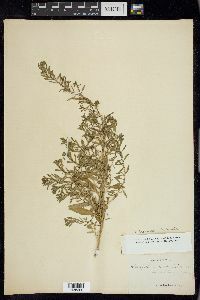 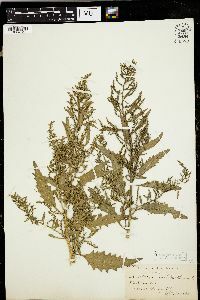 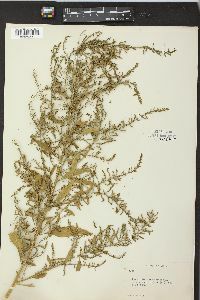 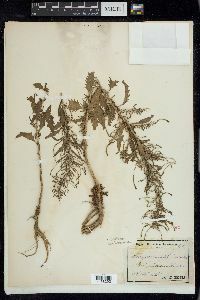 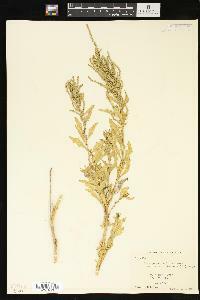 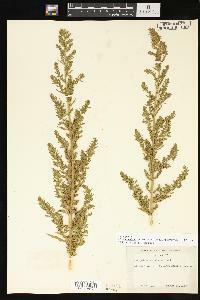 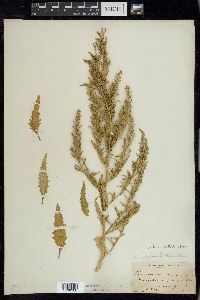 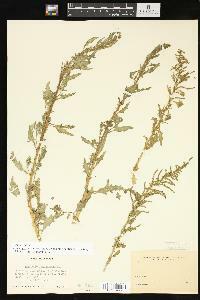 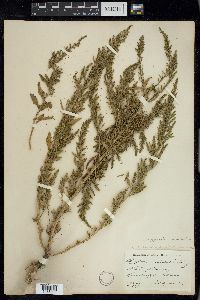 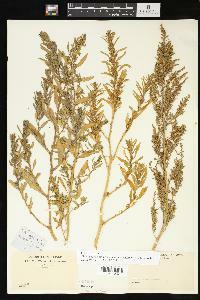 Dysphania anthelmintica is cultivated and locally naturalized elsewhere in the world. 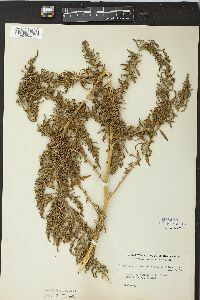 It is reported to not have leaves (pseudobracts) subtending the glomerules. 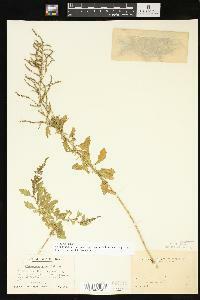 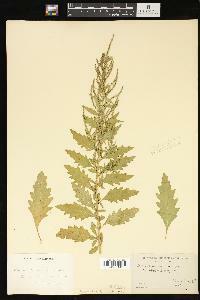 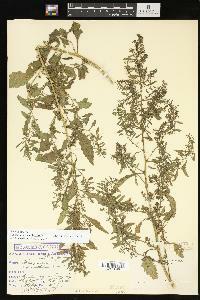 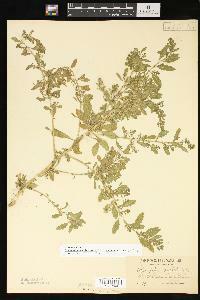 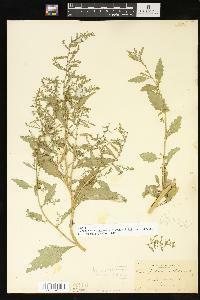 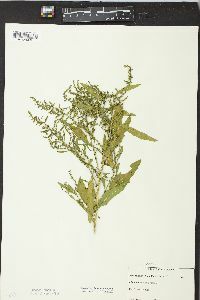 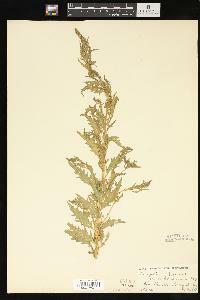 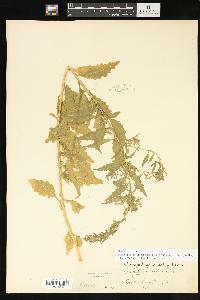 In fact, it usually has very reduced leaflike bracts that are never longer than the glomerules. 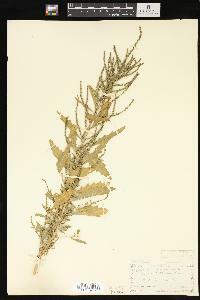 This species appears to be the most common representative along the Atlantic and Gulf coasts and is probably native to that region.